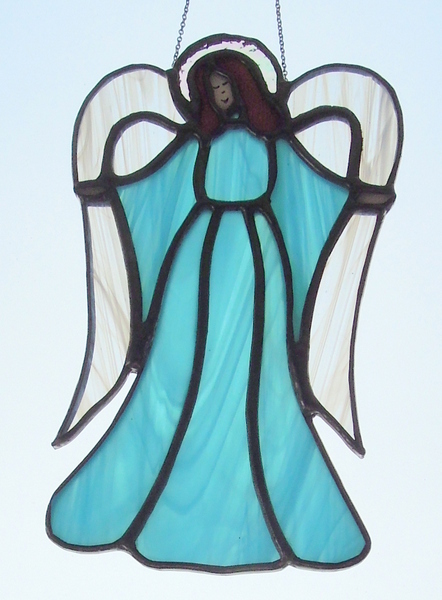 Here is Poppy’s Birthstone Angel. Our 1st granddaughter who was born in March. We used Spectrum’s Sky Blue wispy for March’s Aquamarine birthstone color. 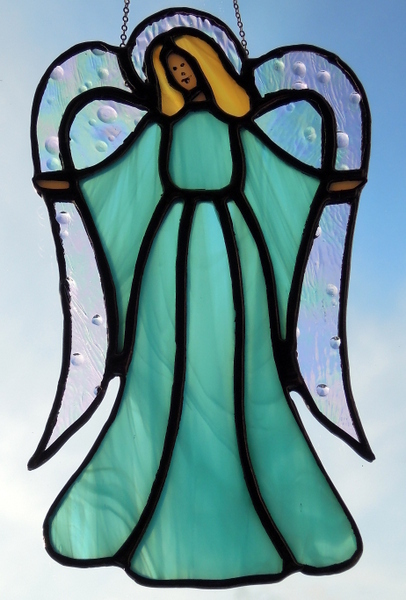 The angel wings were made from Spectrum’s Iridescent Rainwater Glass. Our forth grandson, Dylan was born in February and his birthstone color is Amethyst. 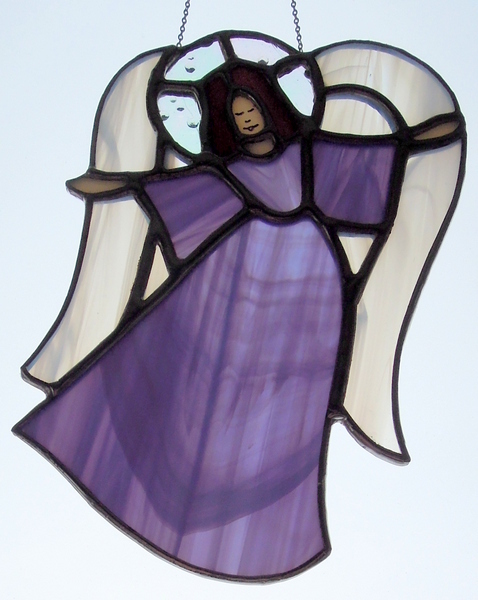 We used a very pretty Spectrum glass that comes very close to portraying the Amethyst color for his birthstone angel. This is Matthew’s Birthstone Angel – he is our 3rd grandson who was born in March and that birthstone color is Aquamarine. We used Spectrum’s Sky Blue Wispy along with a white wispy for her wings and Spectrum’s Rainwater Iridescent for her halo. Our second grandson, Brady was born in April and his birthstone color is the Diamond/White Sapphire. 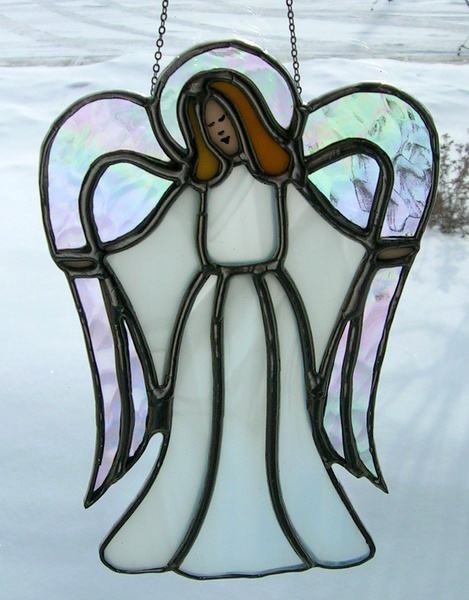 We used Spectrum’s Clear Hammered Iridescent glass for this angels wings, with fine silver chain soldered into the seams for hanging. 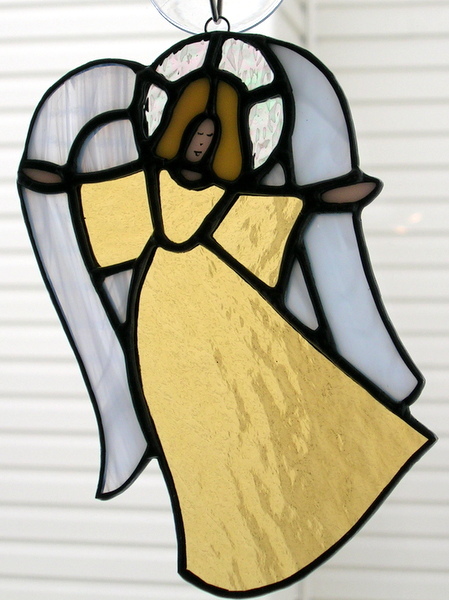 When our grandchildren were born we made each one of them an angel in their respective birthstone colors. This is Ryley’s our first grandson. He was born in November and the birthstone color is Citrine.